Forests are being cleared to make way for ADB-funded plantations in Laos. Villagers are already seeing the impacts. 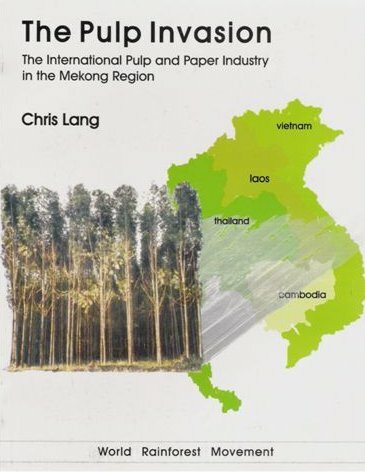 In December 1993, the Asian Development Bank agreed a US$11.2 million loan for an “Industrial Tree Plantations Project” in Laos. 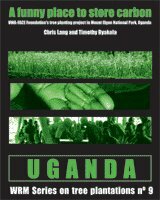 Phase 1 of the project, which ran until 2003, aimed to plant 9,600 hectares with fast-growing tree plantations. Phase 2 of the project, “Tree Plantations for Livelihood Improvement” is currently under preparation and will go to the ADB’s Board for a decision on funding in October 2003. Under phase 2 the ADB plans to plant a further 10,000 hectares. The ADB is funding the replacement of forest, fields, swiddens and common land with monoculture eucalyptus plantations. The companies advising the ADB and the Lao Government on the project have an interest in promoting plantation development and are therefore not providing independent advice. The ADB has been far from transparent in carrying out Phase 1 of the project and in preparing Phase 2. Several project documents have not been publicly released and there is no indication that they will be released. Laos: Forest cleared to make way for ADB-funded plantations. The reality is that the ADB is funding the replacement of villagers’ community forests, swidden fields, grazing land and commons with monoculture eucalyptus plantations. 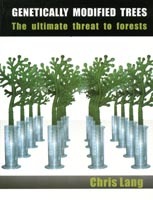 In 2001, independent researchers reported that at Ban Nao Neua, in Xaibouli district, 100 hectares of dry dipterocarp forest was destroyed to make way for ADB-funded eucalyptus plantations. Instead of addressing villagers’ concerns about the plantations, however, ADB’s consultants attempted to convince villagers that the plantations would not cause any problems and that a further 100 hectares should be planted. To foresters and the ADB’s “experts”, dry dipterocarp forest has less value than eucalyptus plantations, but to villagers dry dipterocarp forest is very valuable, for mushroom collection and as grazing land for village livestock. In some communities in Central Laos, wild mushroom collecting in these forests constitutes the main source of cash income for local people. Villagers in Ban Nao Neua have not allowed any more eucalyptus to be planted on their common land. Villagers in Ban Naboh, Gnommarath district in Khammouane province are concerned because their common land has been converted to eucalyptus plantations. Three years ago, a businessman with ADB funding made an agreement with the Ban Naboh village committee to clear 100 hectares for eucalyptus plantations. Although he signed an agreement with the village committee, villagers outside the committee have not seen the document. The businessman cleared more than 100 hectares and has not paid some of the villagers for their labour in clearing the land. BGA Lao Plantation Forestry Ltd.
One of the companies to benefit from the ADB’s plantations project is BGA Lao Plantation Forestry Ltd. BGA was set up as a joint venture between Brierley (New Zealand), General Finance (Thailand) and Asia Tech (Thailand). The Thai companies pulled out because of the 1997 Asian financial crisis, leaving Brierley as the sole foreign investor in BGA. The Lao government owns 15 per cent of the shares in BGA. BGA plans to plant 50,000 hectares of eucalyptus and has a 50-year lease in Bolikamxai and Khammouane provinces in central Laos. The company is financing its plantations with ADB funding. In 2000, for example, BGA received 70 per cent of its funding through the ADB’s plantation project. BGA is planning a wood chip mill and has future plans to build a pulp mill in Laos (both wood chips and pulp are for export to Japan). BGA does provide some employment. The company employs villagers on a day-by-day basis as labourers for less than $1 a day. Villagers in Ban Lao Luang report that they welcome the money they have earned from working for BGA, and they no longer have to travel to Thailand to find paid work. 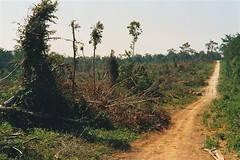 However, while plantations require labour in the early stages—to clear the land, for example—once the land is cleared and the trees planted, the company will employ few people until the trees are cut down five years later. 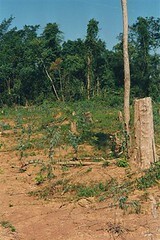 BGA’s plantations, with stumps of trees between rows of recently planted eucalyptus. In Ban Lao Kha and Ban Lao Luang in Khammouane province, areas of dense natural forest have been cleared to establish ADB-funded plantations. Villagers in Ban Lao Luang report that they have to walk further to collect mushrooms and that wildlife and birds have moved to the remaining forest areas. Throughout the country, Lao government officials are carrying out a land and forest allocation programme. In the areas where BGA is establishing its plantations, the government has allowed the company, in effect, to allocate itself the land it wants. The company has used aerial photographs, satellite images, maps and geographic positioning systems to locate the best land for plantations. Company documents describe between 39,000 and 48,000 hectares of the land leased to BGA as “shifting cultivation / grazing land / degraded forest”. In other words, this is land that villagers are already using. Far from providing independent advice to the Lao Government and the ADB, several of the consultants hired by the ADB appear to have a conflict of interest. Companies from the Jaakko Poyry Group were hired as ADB consultants and by BGA. Burapha Development Consultants, also hired by the ADB, is part of the Burapha Group which runs a eucalyptus wood-processing factory near Vientiane. Ecosecurities, a firm hired by the ADB to look at whether ADB-funded plantations in Laos are eligible under the Clean Development Mechanism of the Kyoto Protocol, specialises in setting up carbon-trading deals for companies and governments. The ADB has been far from transparent in preparing and implementing its plantations projects in Laos. Under phase 1 of the project, ADB consultants produced a study entitled “Current Constraints Affecting State and Private Investments in Industrial Tree Plantations in the Lao PDR”. 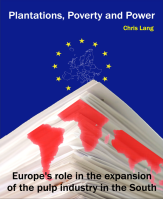 The consultant’s recommendations, if carried out, would involve changes to the forestry law and changes to local environments and therefore local livelihoods. However, the report is not available to the public because, according to a project officer at the ADB, it is an official document and the Bank requires the permission of the Lao government to release it. 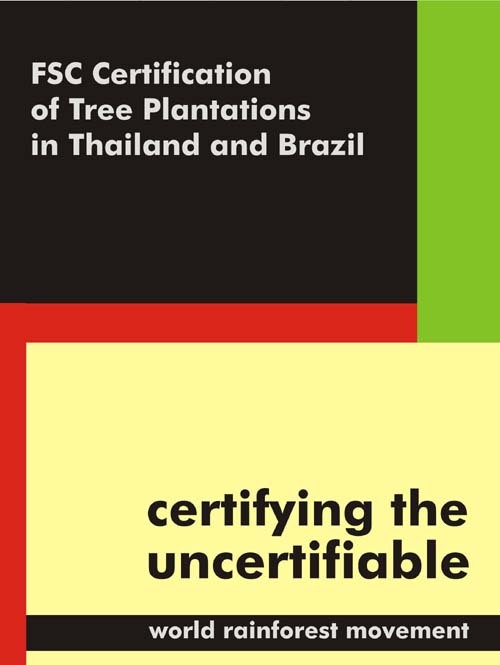 The ADB has refused, despite several requests, to release another phase 1 document, entitled “National Strategy for Sustainable Plantation Forestry”. 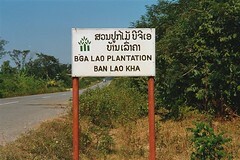 The Bank has declined to issue a list of the documents prepared under phase 1 of its tree plantations project in Laos. Without a list of documents, it is impossible to know whether the ADB is conforming to its policy on information disclosure. 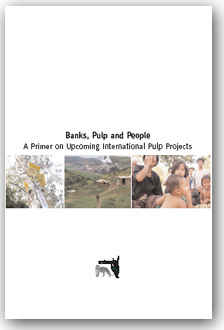 According to the ADB’s project description, phase 2 of its plantations project in Laos “will build on the successes and lessons learned from the ongoing Industrial Tree Plantation Project.” However, the Bank has declined to disclose what it believes to be the successes or lessons learned from its previous project. Recently, the Bank has held a series of workshops in Vientiane as part of the preparations of phase 2. Akmal Siddiq, Senior Project Economist at the ADB, described these workshops as “open and frank consultations”, which are “part of the ADB’s transparency policy.” However, Siddiq has not responded to a request to issue the minutes of the workshops or to release copies of presentations made during the workshops. Without access to ADB reports documenting the Bank’s plans for plantations in Laos, an informed, open debate is not possible. Perhaps not surprisingly, the ADB is reluctant to allow any such debate.